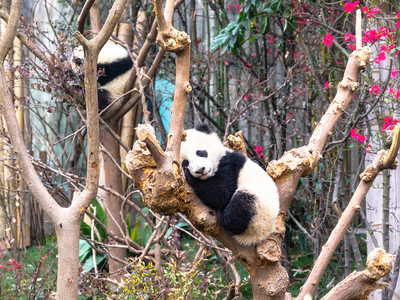 An outstanding team of young volunteers are contributing their expertise to the protection of giant pandas in Tangjiahe Nature Reserve in southwest China's Sichuan Province. "The system can automatically identify potential poachers and send back real-time images," said Diao Pengkun, deputy head of the conservation station, adding that since the establishment of the system last October, they have prevented several cases of poaching. 27-year-old Wang Haiying, with a master's degree in ecology, has been a volunteer at the conservation station for more than one year. Last year, heads and volunteers of the conservation station were invited by China's Ministry of Education to share what they have done in wildlife conservation with young students in Beijing.